Made with 3 of my favorite cheeses from Wisconsin, muenster, aged sharp cheddar, and blue cheese, this sweet and savory vegetarian grilled cheese is a hit with anyone who tries it. But the cheese blend wasn't what made the sandwich so special - it was the inclusion of one of the tastiest jams I've ever had! And don't just trust me though, Sallie's Great Jam has also been praised by Oprah as one of her favorite jams. It's made in South Carolina by the most delightful mommy daughter team using the best ingredients they can find. 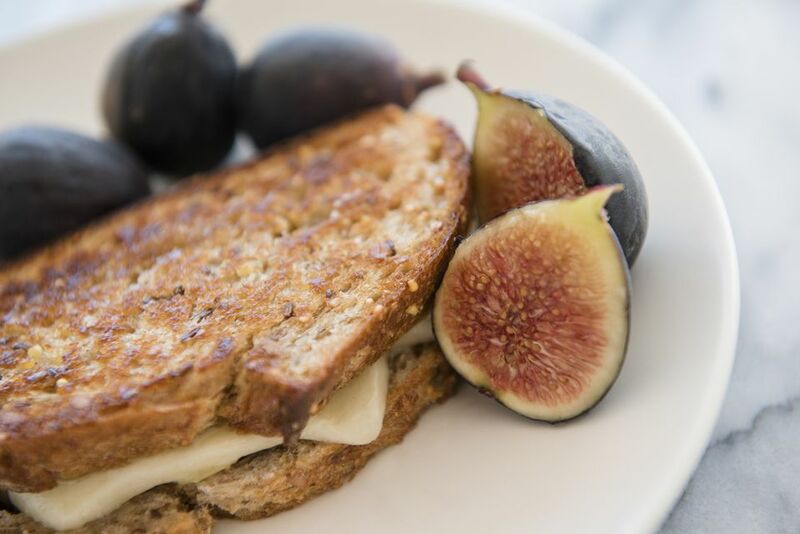 They have a bunch of yummy flavors but my favorite is their Fig, Sweet Onion and Rosemary flavor which is what is featured in this sandwich. Take one piece of Texas toast and pile on the sharp cheddar, muenster, and the marbled blue. On the other piece of Texas toast, smear on some of Sallie's Greatest Fig, Sweet Onion, and Rosemary Jam. Butter both sides of the sandwich and set aside. In a medium sized cast iron skillet or panini press, place the buttered sandwich in and turn the heat to medium. Grill the sandwich for a few minutes on each side until the cheese has melted and the bread begins to become a crisp golden brown color. Once it's ready, remove it from the heat and let it sit for a second so that the cheese doesn't ooze out when you bite into it.